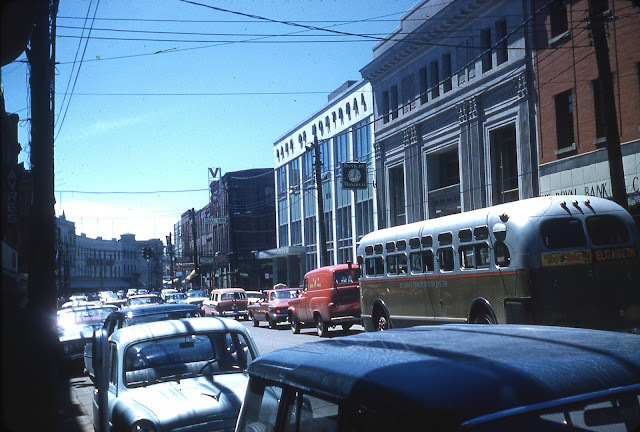 Photograph of Water Street in downtown St. John's in 1962. Shows the Bank of Montreal, VOCM, Ayres, Royal Bank of Canada, and a St. John's Transportation System bus. This image is part of the Allen and Pearl Squires Fonds at the Portugal Cove-St. Philip's Archives.